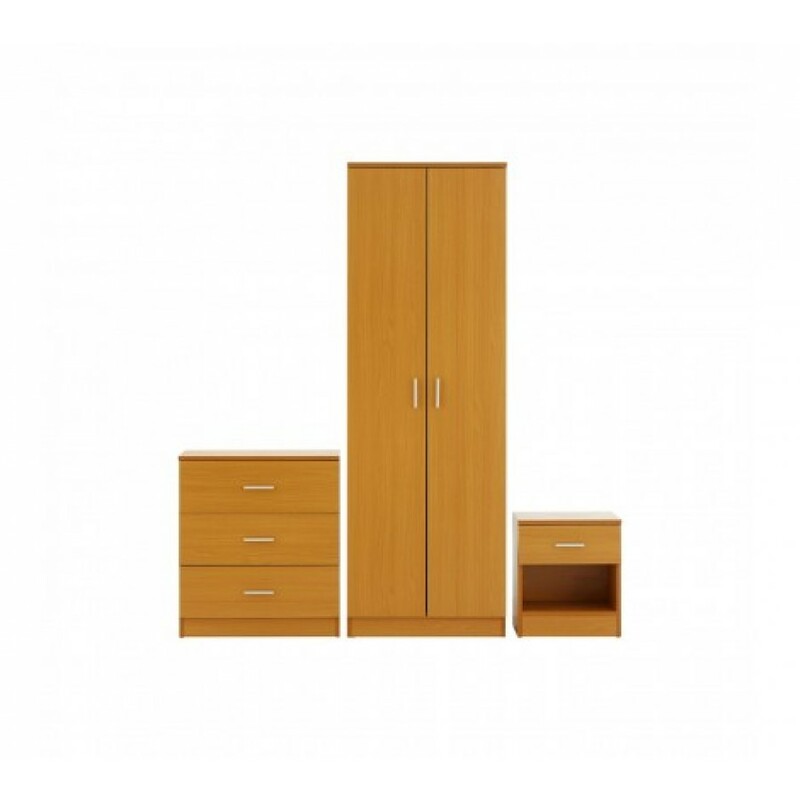 The Montana bedroom set is comprised of a two door wardrobe, three drawer chest, and one drawer bedside cabinet. The wardrobe features a hanging rail and storage shelf, while the bedside cabinet boasts an open shelf space beneath its drawer. Slim silver coloured handles made from strong metal contrast with the golden beech tones.